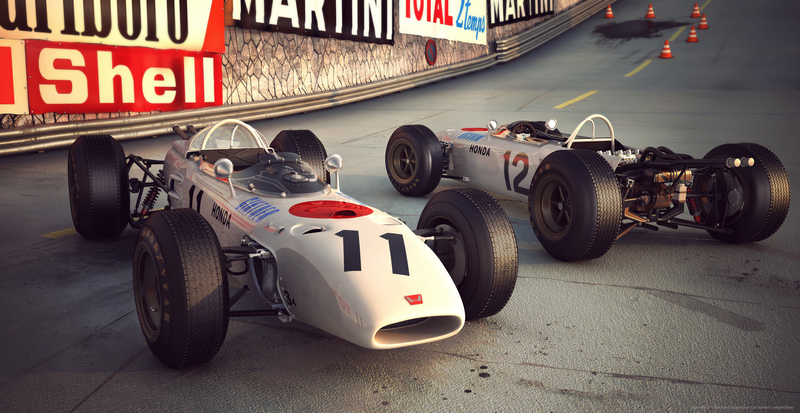 Drafted in 1965, the RA272 was a Formula One race car by the japanese racing team Honda. The first Formula One triumph for Honda was won by Richie Ginther at the Mexico Grand Prix and made history in 1965. 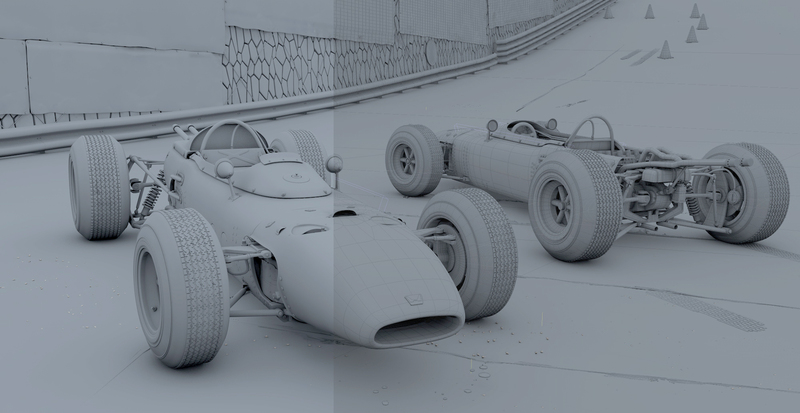 The Honda RA272 as well as the whole background scene were modeled, textured, lighted and rendered by me. No photos were used for the background, but I retouched the final work slightly afterwards with Photoshop. Off course, for me, a good piece for reference in 3D.